Caption slip reads: "Photographer: Gray. Date: 07-23. Reporter: Thackrey. Assignment: Iterview. Sunday. 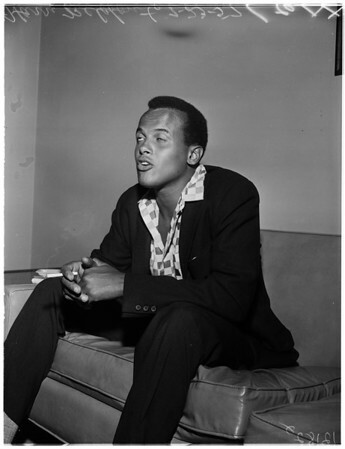 Harry Belafonte, 30, singer. 2 negs. (Negs. to Richardson)".